KUALA LUMPUR: Malaysia needs more submarines to be able effectively safeguard the country’s sovereignty, especially in the South China Sea, former Royal Malaysian Navy (RMN) Chief, Admiral (Rtd) Tan Sri Mohd Anwar Mohd Nor said. He said the RMN would need six, or at least three, submarines. 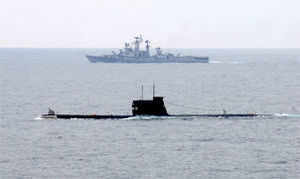 Currently, Malaysia has two submarines, the Scorpene, which are based at Teluk Sepanggar, Sabah. “Come the time when the submarines have to be sent for repair or service which is going to take months. Having only two submarines can disrupt operations by the navy,” he said when met by Bernama recently. He said this when asked on the setting up of submarine fleets by several countries in the region, like Malaysia, Vietnam and Indonesia. Recently, Singapore commissioned the Archer-class submarine to operate alongside four Challenger-class submarines. Mohd Anwar said the best way for RMN to address the problem was by acquiring six Gowind class vessels. “No submarines dare sail in the Straits of Malacca. If there is any conflict, with the aim of closing the strait as a passage for vessels, it will happen in the South China Sea or the Bay of Bengal and the Andaman Sea,” he added. He said the submarines served as the most effective weapon. The submarines can be used for signal and electronic intelligence operations, he added. This entry was posted in The world's submarines and tagged Archer Class, KD Tunku Abdul Rahman, Kuala Lumpur, Malaysia, Scorpene on May 11, 2013 by jasonlockley. The Indian Navy is set to “very soon” issue a RfP (request for proposal or tender) for a new line of six submarines with AIP (air independent propulsion) capability. Asked how soon is “very soon,” the naval chief told India Strategic defence magazine (www.indiastrategic.in) that the defence acquisition committee (DAC) had already cleared a note on acceptance of necessity (AON), the navy had finalized the RfP and it was in its last stage of formalities for clearance in the defence ministry. As per procedures, depending on the money involved, AON has to be cleared by a competent authority. If the requirement involves more than Rs 1,000 crores ($200 million ), then it is by the DAC, headed by the defence minister. The approval was accorded just before the Navy Day on December 4, 2012. 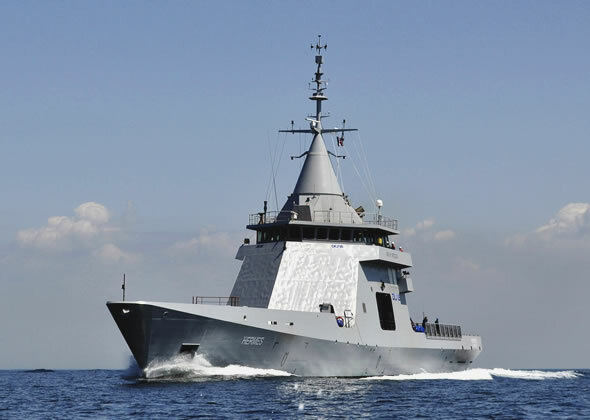 At present, six new Scorpenes under Project 75 are being built for more than 5% billion (Rs 23,562 crore) by the state-run Mazagon Dock Ltd. (MDL) under licence from the French DCNS company. MDL is also hoping to get the new Project 75-I line but it has substantial work in hand for years — 14 ships in addition to the six Scorpenes. The experience gained in building the Scorpenes though should be extremely useful and must not get wasted. AIP is also being considered for the last two of the existing line of Scorpenes by installing plugs — about eight meters in length and the same diameter as that of the submarine. Admiral Joshi said that the (Defence Research and Development Organisation) DRDO was working on building these plugs, but that if this entailed delay, “we will not wait”. The Scorpene project is already late by three years, with the first submarine scheduled to be out in June 2015 — instead of 2012 — and the last in September 2018. DCNS has offered to build the plugs and some negotiations have taken place with it. Nonetheless, DRDO’s Naval Materials Research Laboratory (NMRL) at Ambernath in Maharashtra is working on the project to bring in some indigenous capability and content. Notably, the defence offsets policy mandates a minimum investment of 30 per cent to be put back in a related defence industrial venture in India, but in the biggest defence contract that is now being negotiated for the French Rafale multi role combat aircraft (MRCA), this figure is 50 per cent. The Indian Navy’s current fleet of conventional diesel-electric submarines is quite old. There are four HDW Shishumar class submarines acquired from Germany and 10 Kilo Sindhughosh class from Russia, both from 1986 onwards. The service life of a submarine is estimated at around 20 years, but because of political indecision after the allegations over the purchase of Bofors guns from Sweden, the modernization process of the Navy — along with that of the Army and Indian Air Force — suffered. In 1998, the then naval chief, Admiral Vishnu Bhagwat, projected a requirement of a 24-submarine fleet in the navy’s long-term vision for 30 years. In 1999, the Cabinet committee on security (CCS) — the apex body headed by the prime minister — approved the plan for their indigenous construction in two lines. This entry was posted in The world's submarines and tagged India, Mazagon Dock Ltd, Project 75-I, Scorpene, Submarine on January 3, 2013 by jasonlockley.